The loss of a body part is a devastating injury. It impacts your ability to function and can lead to long-term psychological and financial challenges. Understanding the impact of an amputation and obtaining the best legal protection to ensure that you receive the compensation you deserve is an important part of the healing process. Having the resources you need after an amputation gives you peace of mind and the security of knowing that the needs of you and your loved ones will be met. Amputations occur when a limb or appendage becomes separated from the body. Accidental amputations affect more than 30,000 individuals in the United States each year. The majority of cases involve the loss of the upper limbs. However, amputations of the lower limbs, fingers, and toes also occur. Automobile and workplace accidents, botched surgical procedures, and physical attacks are often the cause of these injuries. Liability is determined based on the context of the injury. 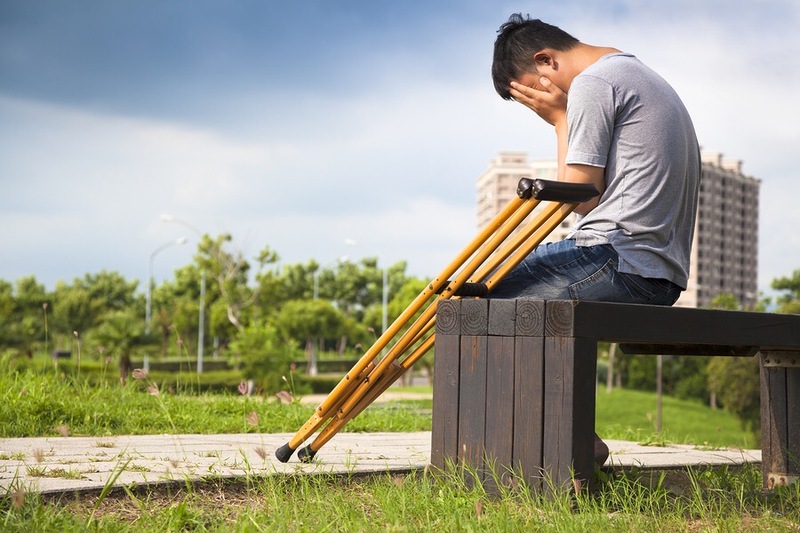 It’s important to fully investigate all of the details related to an accidental amputation when determining how to obtain compensation for your injuries and damages. Complications related to amputations can also arise, and many individuals are often readmitted to hospitals shortly after their initial injury. The effects of an amputation on an individual are extensive. They typically occur under tragic circumstances, which affect people on a physical and psychological level. The loss of a body part can be disabling. It can lead to additional problems related to self-esteem and body image. Many people who experience accidental amputations feel inadequate after their recovery. Healing from an amputation requires time and resources that offer the support they need to return to their daily life. The effects of an amputation on the nervous system can lead to “phantom pain”. This consists of long-term sensations of pain that appear to be affecting a part of the body that isn’t there anymore. Other symptoms such as cramping and tingling can also affect these individuals. Adapting to a new way of living is one of the biggest challenges facing people who have experienced an accidental amputation. The loss of a body part can significantly impact your ability to move and care for yourself. The health care costs related to amputations must be considered. Emergency room care and surgery are just the beginning. Additional care including rehabilitation, therapy, and the use of prosthetics and other medical equipment also has long-term impacts on your quality of life. The temporary or permanent loss of employment further adds to the financial and emotional effects of an amputation. Getting the right legal protection is critical to ensuring that you overcome these and other challenges you’ll face. A skilled lawyer with experience in amputation cases will gather all of the details related to your case. Having the evidence you need to determine liability maximizes the compensation you receive while holding responsible parties accountable for your injuries and damages. After an accidental amputation occurs, many individuals are contacted by insurance providers who offer settlements. In most cases, the compensation offered is far lower than that which you deserve. You need to consult with a legal professional before signing any settlement offers. It’s also important not to discuss the case with these insurance companies. The information they gather may be used against your interests. Compensation for lost wages, medical costs, physical and emotional suffering, and a reduced quality of living can be fought for with the help of an expert attorney. They can also help you identify other costs that can enhance the compensation you receive. Understanding the short- and long-term impacts of an accidental amputation helps you determine the compensation you deserve. By consulting with a skilled legal professional, you’ll be taking a great step in protecting your rights, helping you recover from your injuries, and reclaiming your life.